Equipped with a wall mounting designed metal housing automatic spring roller system .Designed specifically to meet the exact requirements of multimedia users. Flexible mat white surface is light embossed for non reflectivity. Its adds a touch to class of any video presentation. Designed specially to meet the exact requirements of multimedia users. Flexible mat white surface is light embossed for non reflectivity. It operates instantly at the touch of a switch provided with a universal bracket for wall and ceilings. Motor & drive module sealed & lubricated for life. Present switches automatic stop screen at’’ Fully Up’’ or’’ Full down ‘’ positions, powder coated finish. Powder coated finish. Supplied with remote control. 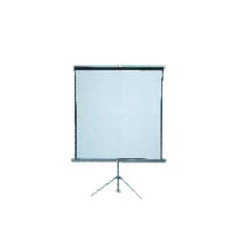 Looking for Projector Screen ?